Who’s this cute little kitty with big eyes and tiny folded paws? Well, that’s me — Noel! 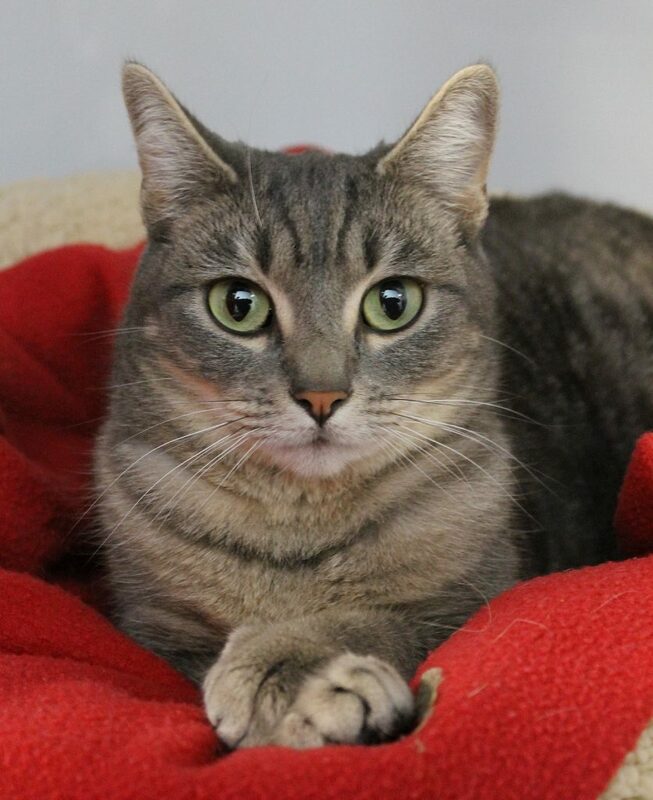 I’m an adorable little 3 & 1/2 year old girl who was abandoned in a box on Christmas Eve. Luckily, a very nice person found me and brought me to Pixie, and now I’m safe, warm, and ready to fall in love! I definitely had a home before I came here, because I came in very healthy and extraordinarily sweet. I absolutely love cuddles and will stare up at you with my big round eyes and ask for chin rubs and lap time. I am not a big fan of other cats and dogs may be too much for me, however I have a sugary-sweet disposition and would do great in a loving home with adults and respectful children alike. Are you looking for a cute little kitty like me? Come down to The Pixie Project to meet me! I come to you spayed, micro-chipped, and vaccinated for an adoption fee of $100.